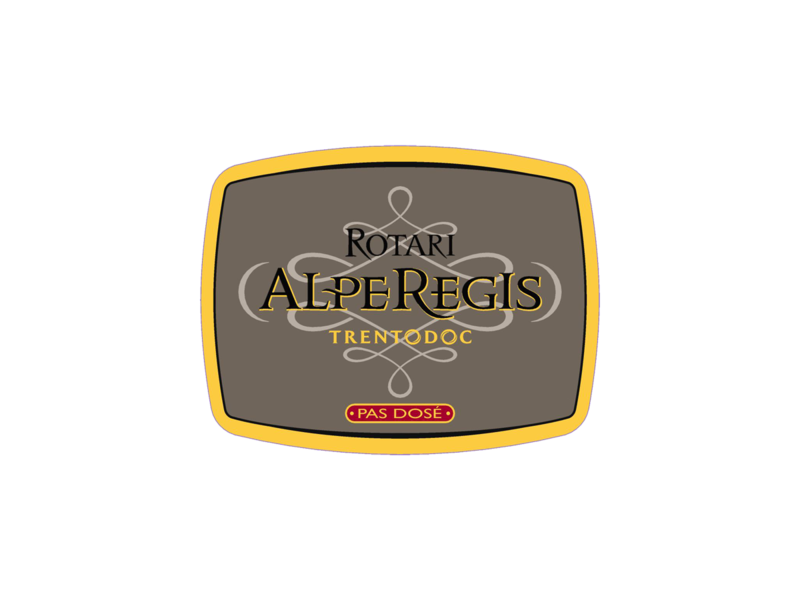 AlpeRegis Pas Dosé expresses the essence of the Rotari AlpeRegis sparkling production. It is obtained from a careful selection of Chardonnay grapes cultivated in the hilly vineyards surrounding the Piana Rotaliana and it is characterized by balance and maturity. 100 % Chardonnay with 60 months aging on the lees. The grapes are harvested at a more advanced stage of ripeness than the other base wines. In such way the base wines presents a balanced acidity together with a crisply aromatic freshness. The total malolactic fermentation of the base wine further reduces the acidity in favor of softness and taste. In the tirage stage, we favor yeasts that bring roundness thanks to the transmission of mannoproteins. During the long aging of 60 months, the wine ripens and gains its peculiar notes of hazelnut and dried fruit, well balanced with hints of peach, apricot and yellow apple.The lack of “liqueur d’expedition” (a blend of special wines refined in barrique) allows to enjoy the strong flavor of this purebred sparkling wine, with a pleasant taste. Aperitif for connoisseurs and discerning palates, Alperegis Pas Dosé is the perfect complement to raw, fine fish. Store horizontally in a cool place avoiding prolonged exposure to light.